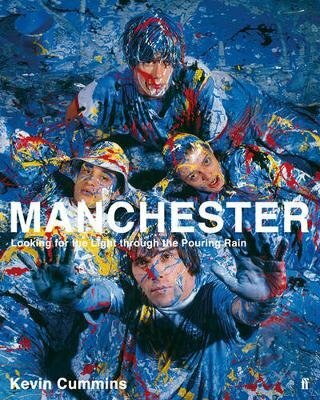 Manchester, its bands, its fashions, its attitude, has defined pop culture for the best part of four decades. Joy Division, The Fall, Buzzcocks, New Order, The Smiths, Happy Mondays, Stone Roses, Oasis. These were the bands that shaped two generations of teenagers and changed the course of pop music. Manchester: Looking for the Light through the Pouring Rain is a portrait of these individuals, the city, and their times. Whether it be on a rain-soaked stage in Brazil, a rented room in Whalley Range, or on the dancefloor of the legendary Hacienda, Kevin Cummins' exquisite photographs capture the anarchic energy of the Manchester pop moment. This stunning visual record of the city and its pop history is complemented by four textual contributions from Paul Morley, Stuart Maconie, Gavin Martin and John Harris. What is it about that city that makes it the Memphis of the UK? Cummins' photographic record of the past 30 years captures the highs, the lows and the transcendent pop moments of Manchester's most famous sons.